Starting at $125.oo!! Family portraits, engagement photos, senior portraits, action sports photography, maternity photos, event photography, and much more! If you have something else in mind for your shoot, send me an email or give me a call! I'd be more than happy to hear your ideas and even add to them if you need some suggestions! To book your photo shoot just click on the "Contact" tab at the top of the page and tell me about what you are interested in. Thank you! See you soon! * Any location ($1/mile charge after 20 miles outside Gresham OR, 97030). * Includes a personal online gallery of your images. View, share, and even order prints directly from your gallery at a discount pro rate! * Also includes high resolution digital downloads of your images. * Includes a personal online gallery. View, share, and even order prints directly from your gallery at a discount pro rate! 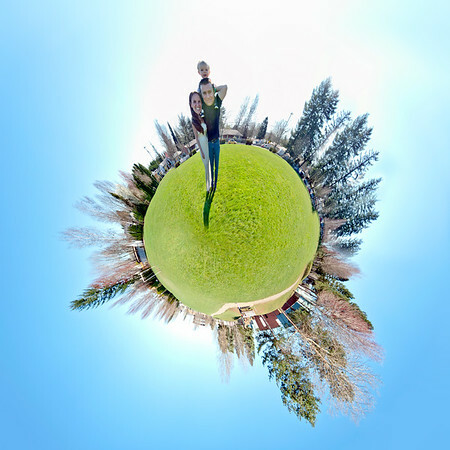 * Add a 20x20 print of your Tiny Planet Family Portrait to your package for $75! Comes with a high resolution digital download.